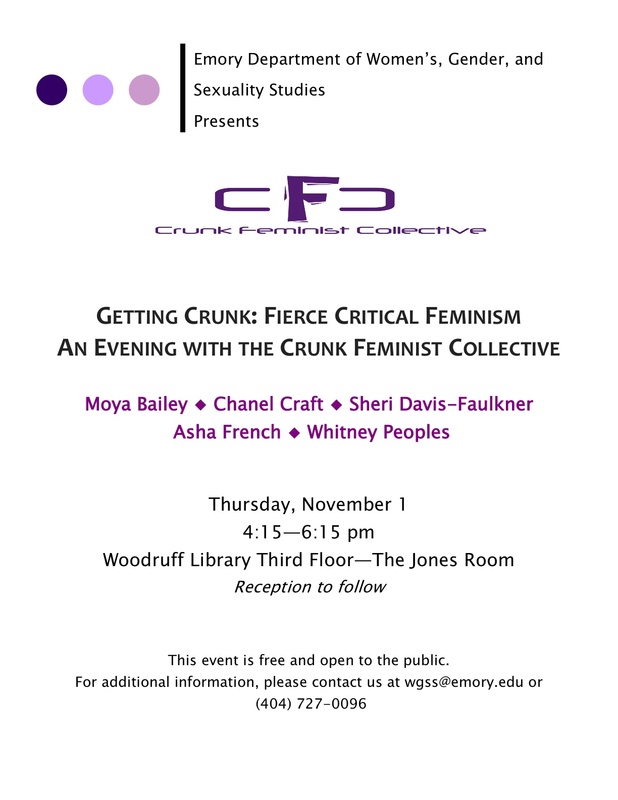 If you are interested in bringing one or more Crunk Feminists to speak to your campus, community group, church or organization, you can find out more info here: https://crunkfeministcollective.wordpress.com/booking-info/. Come to the University of Virginia in Charlottesville! Hearing the CFC at the speaking event at Emory recently was a great experience. I was moved to tears on the verge of spilling, and the feeling of solidarity was profound. I have only one complaint: your blog states that you aim to give a voice to women and men of color, but I notice that you don’t seem to have a voice for “yellow” women of color. As a Chinese-Malaysian-American woman of (yellow) color, the talk at Emory on Thursday Nov 1 about belonging and finding a space where “we” belong rang a little hollow to me. While I felt a fervor, a solidarity forming, I felt it was not mine to be a part of. I was also, to be fair, disappointed in the lack of turnout of the Asian community at the event. In the spirit of Maxine Hong Kingston and Sonia Shah: where are the “other” women of color?